If you get a few professional photographers together there are a few topics of conversation that you are almost guaranteed to experience. One of those is compact digital cameras – the cameras that they carry around ‘just in case’ and take out when they are off duty. I am certainly no exception and it is always an exciting day when a new camera appears on my desk either on test or (in this case) that I have spent my hard earned pennies on. I am a very fortunate guy because I get to test, review and play with all sorts of new equipment but it takes something quite special for me to put my hand in my pocket and commit to buying anything. 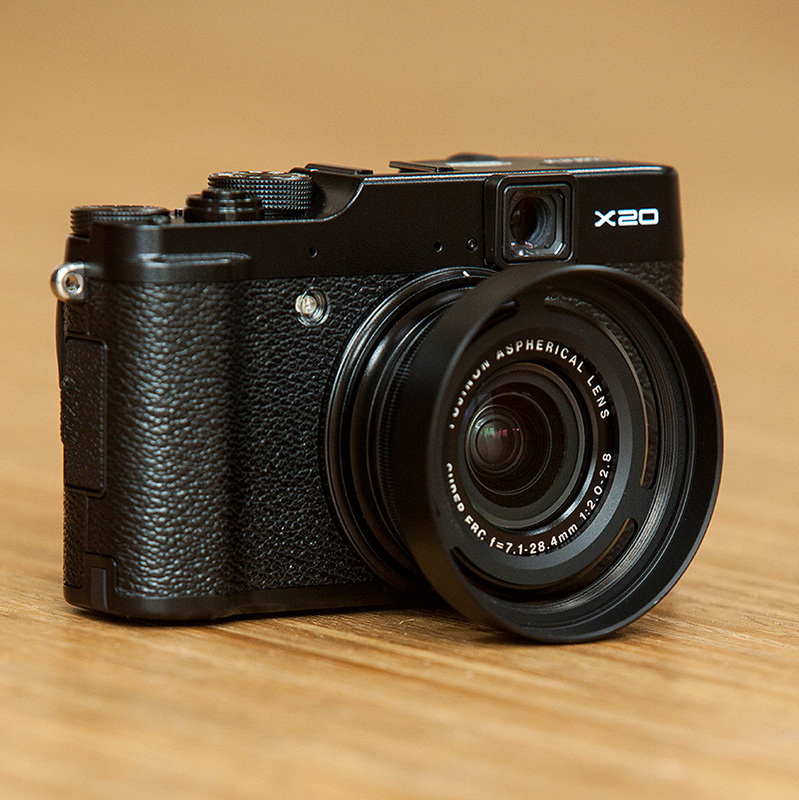 I loved the Fujifilm X10 and I have owned and used a vast array of Canon G series digital compacts but the new X20 seemed to tick all of the boxes. I was never that keen on the way that Adobe Camera RAW (or any other RAW converter for that matter) handled the X10 files and so I held off buying the X20 until Adobe released a version of their RAW converter for Photoshop CS6 that handled the Fujifilm RAW format properly. I will write more and post lots of pictures when I have truly had time to get to grips with this new camera. So far I have been through the menus, tested a few RAW files with the new Adobe converter as well as the SilkyPix application that comes with the camera. It has only been a few hours but I am really loving the feel of my new toy. I guess that the big change from the X10 is the viewfinder information which has transformed a good idea into a really useable tool. Another interesting feature is that even if you select the 3:2 aspect ratio in the camera menu, the whole area of the chip is still there when you import the RAW file and so you can easily recompose the frame if you made that tiny error! ← Lighting gels… the best in VFM? I’m looking forward to your assessment of the image quality. I had a Panasonic GF1 – now have an Olympus E-PM1 with 45mm lens – and I like this for the colours much more than I did with the GF1.